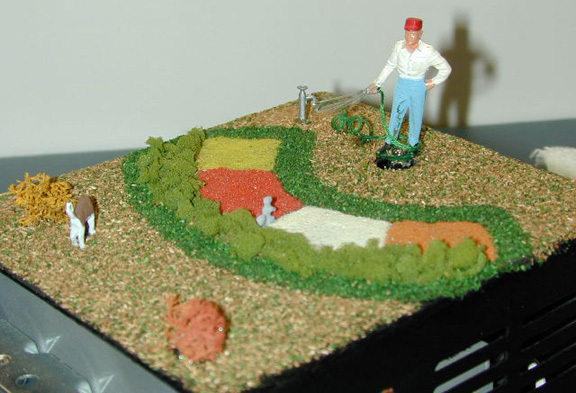 This 'O' Scale figure moves in a semi-circle as he appears to water the lawn. The figure reverses to move back and forth and may be used in any area on you layout. Beautifully landscaped with brightly colored flower beds. Can be custom landscaped any way you choose. Easy installation. Includes the random sounds of a lawn sprinkler which complements this animation perfectly.